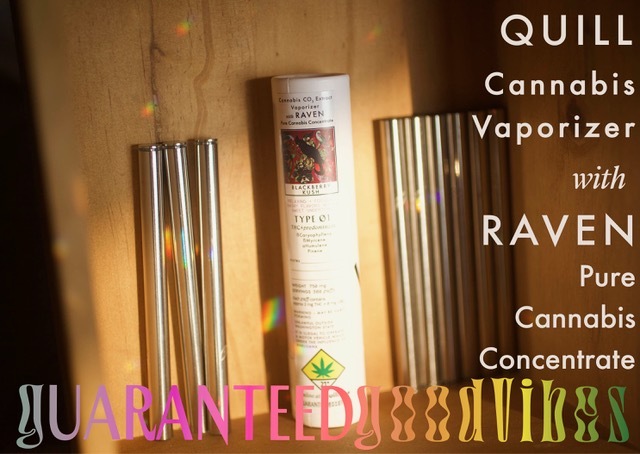 The new Quill disposable vape pen with Pure Cannabis Concentrate by Raven. Now Available at The Novel Tree! 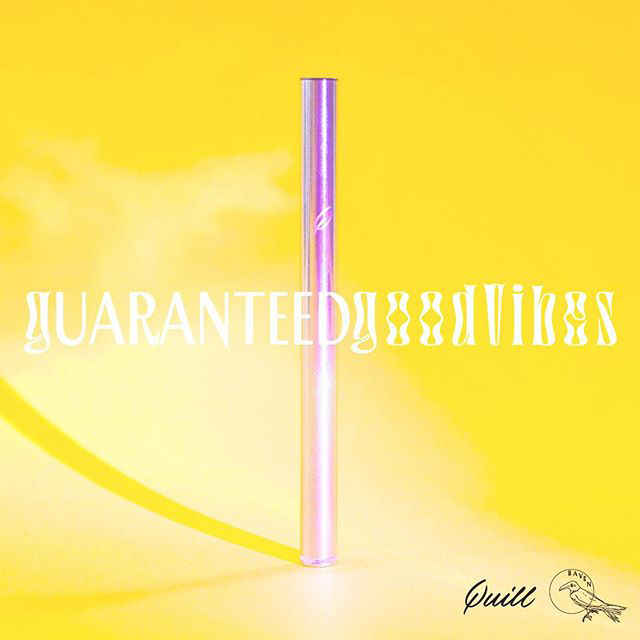 Our partners at Raven have teamed up with Quill to bring you this cool new disposable vape pen. Its sleek design is sure to please even the most discerning of cannabis enthusiasts. Each Quill has 750mg of Raven's renowned Pure Cannabis Concentrate and is good for around 300 2-3 second puffs. These strains and blends are available as 750mg Quills and soon in Raven's 1g Pure Cannabis Cartridges. 9 strains or blends are available! This pen is perfect for those who prefer a lighter, more discreet vaping experience. Simply toss it in your pocket or your bag, the shape and size make it easy to conceal. Each puff delivers a consistent 2mg of THC. This makes it great for microdosing, and ensuring that you're not going overboard. Raven has been featured at The Novel Tree since early 2015, making them one of our oldest partnerships. In addition to their famous flower, they produce only pure, CO2-extracted, concentrates from organically-grown cannabis. There's nothing artificial. The only thing you'll taste are the rich terpenes and cannabinoids present in each strain. The aim is to provide you with the best, 'true-to-strain' experience possible. CO2 is a colorless, odorless gas vital to life on Earth. Unlike some of the solvents being used in cruder extraction methods, CO2 is both safe for the environment and proven to be safe for use in consumable products. CO2 is added to carbonated beverages to produce their sparkle and CO2 extraction is used to extract caffeine from coffee, producing that still flavorful cup of Decaf. By using this form of safe solvent extraction, we’re able to bring you a concentrate so pure– you can eat it. Activated Pure Cannabis Concentrate is what we use to infuse our line of in-house edibles, starting with our Coconut Magic. Our promise to use 100% Raven Grass as a base for our Pure Cannabis Concentrates means you’re getting concentrated 100% organically grown goodness. Raven Goods use Raven Grass. Period.